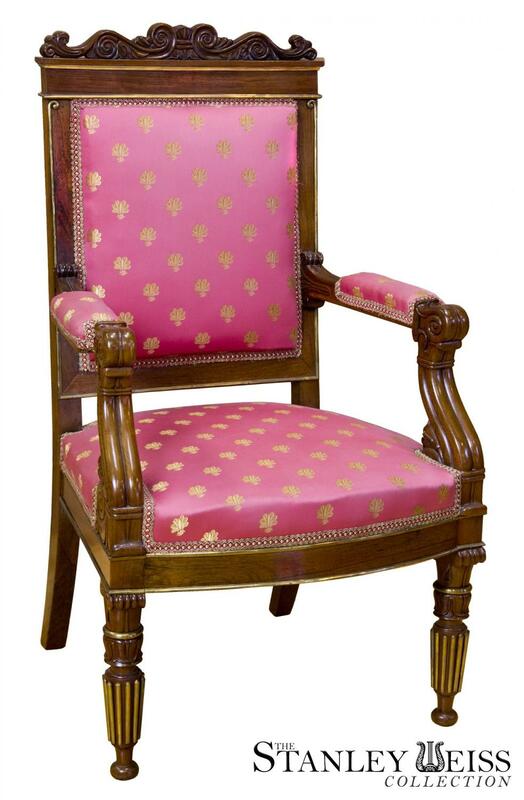 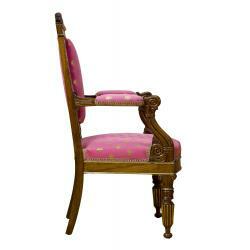 This is a beautifully developed classical armchair with gilt mounts. 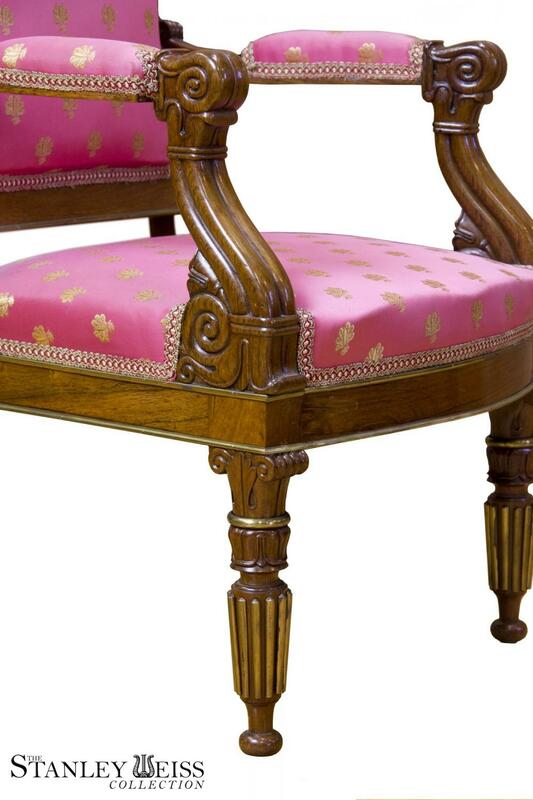 The use of linear gilt mounts is apparent from the crest down to the simulated reeding on the legs. 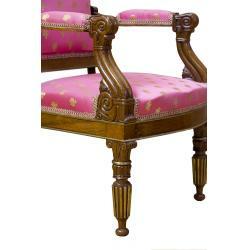 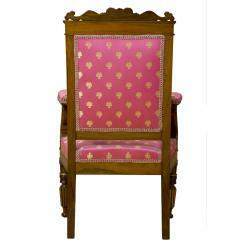 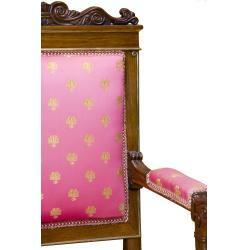 The legs are beautifully embellished and carved, as is the crest rail at the top of the chair. 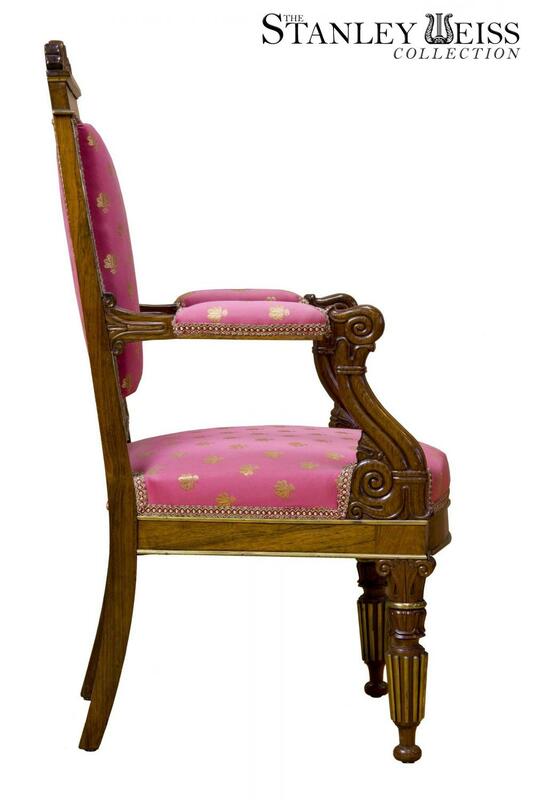 This chair is a fine synthesis of the Regency/Classical vocabulary. 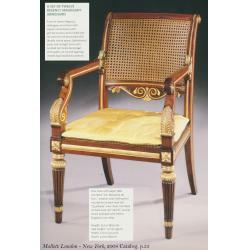 A related chair to this is illustrated below (note there is no carved element at the crest, absence of a bowed seat rail, and other differences, which makes the quality of our example apparent). 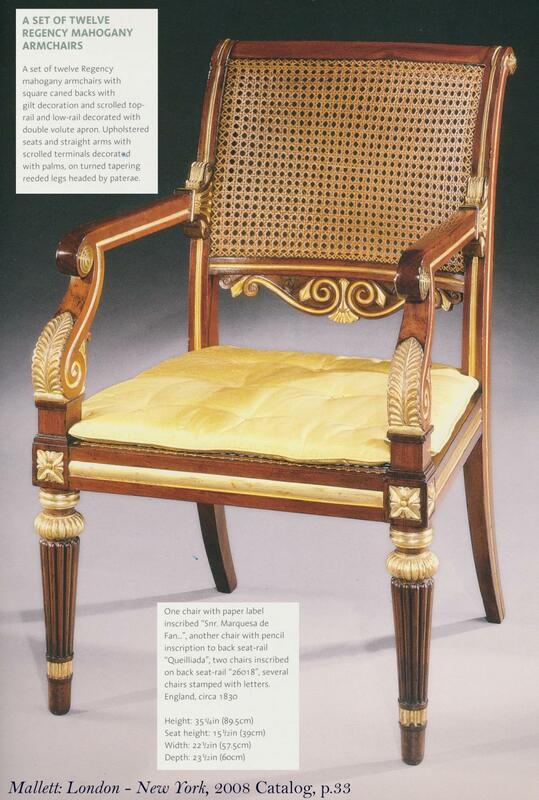 From a connoisseurship point of view, this ranks with the top development of the regency style. 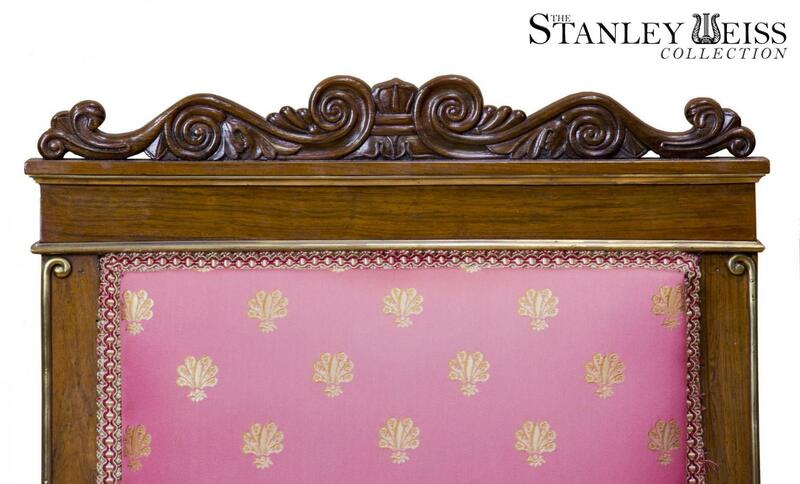 The upholstery, while not new, appears such and the condition is immaculate, with no breaks or alterations. 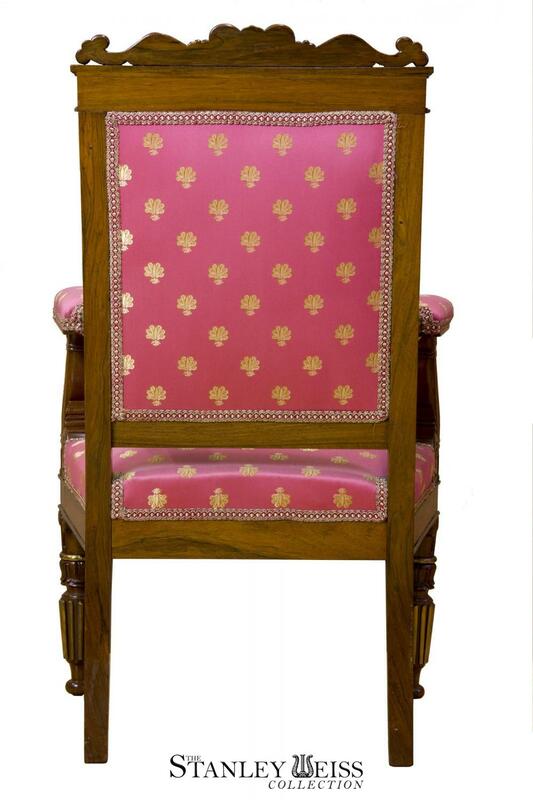 Height: 39 3/4 in. 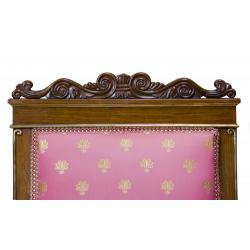 Width: 23 1/2 in. 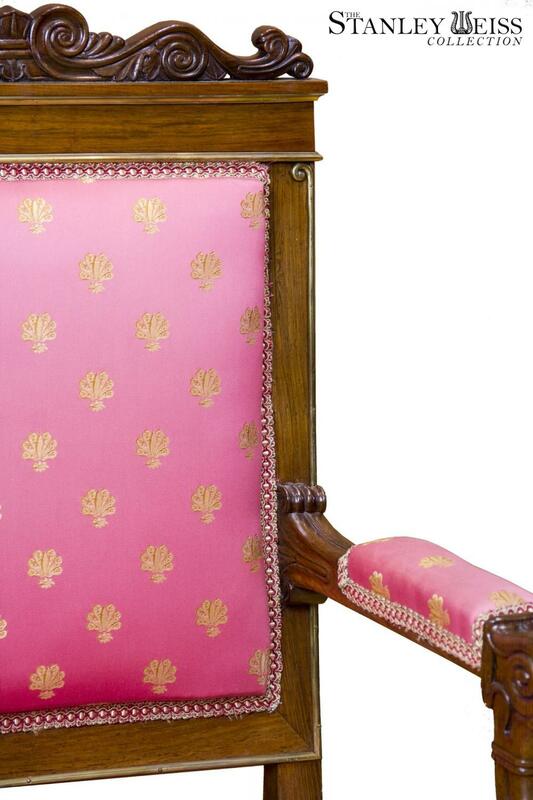 Depth: 20 in.